VERY pretty! That looks so strange in Barcelona! Not something you see everyday in Barcelona! But I've had snow since mid-December and I'm getting a bit tired of it. I'm guessing your snow will be gone long before mine! This is a picture of my old neighborhood while I lived in Barcelona. While I lived there in 2005, it snowed as well. It was not a storm, just morning snow. 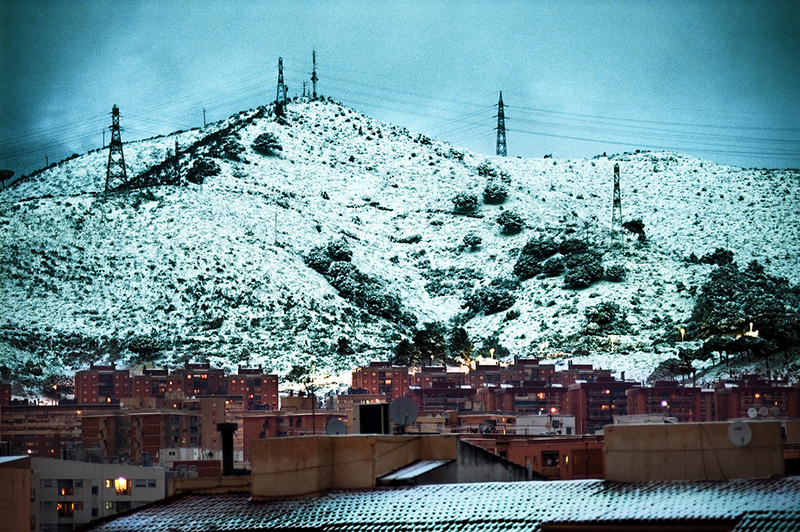 Seems quite strange to see snow in Barcelona! Send your snow to Sweden - Steffe wants more snow! Does this have anything to do with global warming? Maybe not. Just the weather. Love the contrasts in the colours! Yes - I could not believe it when I landed from England and found I was leaving the cold for an even colder situation.